The western end of Emmons Avenue is about to be beautified. The city Parks Department plans to soon begin a project to include newly planted trees, new sidewalks, new curb cuts, newly painted railings, granite pavers, benches and covered trash receptacles on the bay side of Emmons Avenue between Ocean Avenue and East 14th Street. Parks Department officials told Assemblyman Steven Cymbrowitz -- who had spearheaded the $460,000 make-over -- that the work would be completed by Memorial Day. "The beauty of Sheepshead Bay attracts tens of thousands of residents and visitors each year," said Cymbrowitz "This project not only removes dangerous sidewalk conditions, but also makes Emmons Avenue from Ocean Avenue to the end of the bay more inviting to the public." 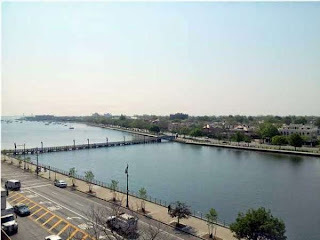 The targeted area begins just east of the pedestrian bridge over Sheepshead Bay, linking the more active end of the bay with Holocaust Memorial Park. Providing an aesthetically pleasing setting with relaxing sitting areas will encourage more people to enjoy the entire stretch of the waterfront, the Brooklyn Democrat said. Cymbrowitz previously funded the installation of antique-style street lights along Emmons Avenue from Holocaust Memorial Park on Shore Boulevard to Driscoll Tucker Place on East 27th Street.